Introduced in ArcGIS Enterprise 10.6.1 is a new web development known as Sites. 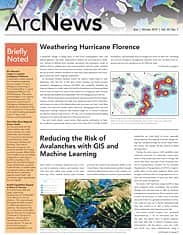 This technology gives users the ability to design and build tailored web pages that highlight an organization’s GIS content. With Sites, users of all GIS experience levels can work securely with geospatial data, right in the ArcGIS Enterprise portal—and they don’t have to learn how the portal works, how to navigate it, or even how to access groups. Sites can feature maps and dashboards that matter to a user’s stakeholders. A site is essentially a website for finding data: there is a home page, and then one or more web pages can branch out from it to connect users to more focused content. Using the Sites app, team members who are authorized to build sites can construct and manage sites and pages for their organization. They can create a distinct look and feel as well that speaks to an individual department’s or team’s specific needs. Key to Sites is its ability to customize how data is presented and prioritized. 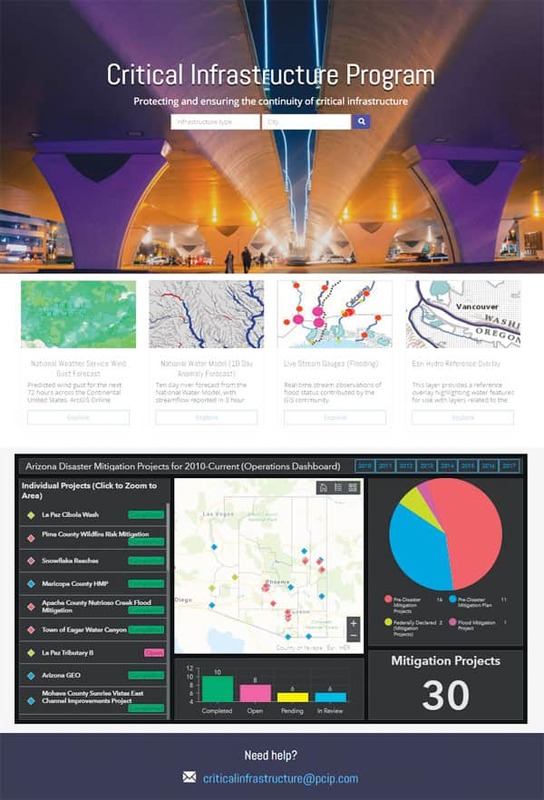 Users can create branded web pages for each department, team, project, or story they want to tell by incorporating data and maps from the relevant groups within the ArcGIS Enterprise portal. Each site can have its own branding, design, and data. This ensures that information that is important to a particular group is always front and center, at users’ fingertips, and displayed in a clean and modern interface. The Sites app makes it easy to build and edit sites and pages. To start creating a site, users choose the groups they want to add to it. The Layout Builder offers widgets—from web maps to iframes—that can be inserted as the site is being designed. Users can also change the background images and web page colors to achieve a specific look or match an organization’s existing design standards. Say a fire department needs quick access to its own response times and real-time fire activities. A dashboard would probably work best to show turnout time, while a web map could feature the incoming calls and responding units. In a few quick steps, a staff member on the GIS team can create the fire department’s site to highlight this important information for stakeholders, including other firefighters, emergency medical technicians (EMTs), and city officials. For the firefighters and others who end up using the site on both desktop computers and mobile devices, all they have to do is scroll down the page to find the information they need in one place, with no extra clicking, tapping, or searching. 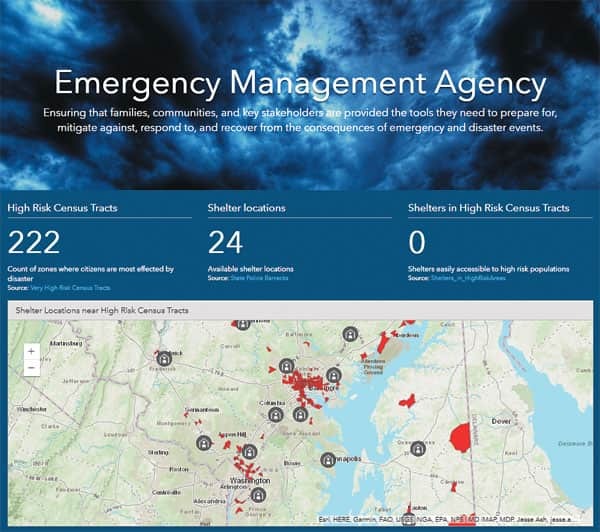 Emergency management agencies can use Sites to showcase related organizations’ GIS data. In ArcGIS Enterprise 10.7, members of an organization who have been assigned a Creator or GIS Professional User Type can be added to a Sites team, giving them the ability to build and edit sites. For ArcGIS Enterprise 10.6.1, any Level 2 member can be added to the Sites team. Sites caters to all types of users—those who want to drag elements onto web pages and those who are savvy enough with HTML that they can further customize the look and feel. This new, interactive capability of ArcGIS Enterprise extends GIS to the whole organization, giving all users easy access to GIS data along with the power to navigate, download, and create their own geospatially focused apps on a Sites page. Learn more about how to set up ArcGIS Enterprise Sites. 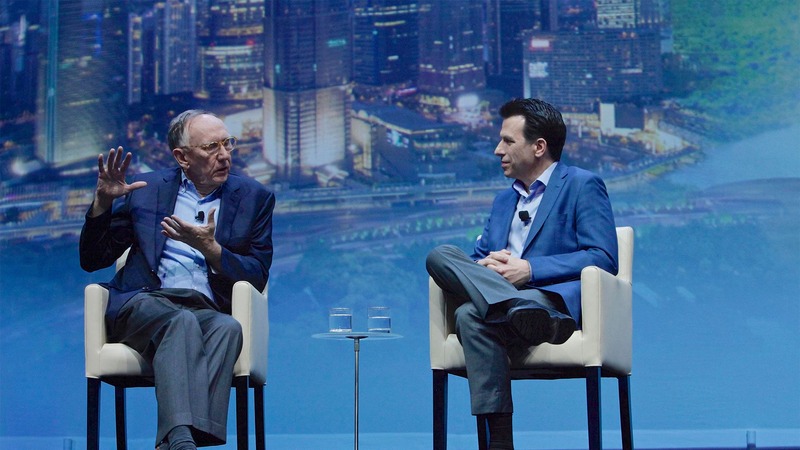 Now, start changing the way your organization experiences GIS.